I’m trying desperately to keep my excitement for its five-year-in-the-making follow-up, Deus Ex: Mankind Divided, on a sane level. I wasn’t going to watch the latest gameplay trailer for fear of spoilers and altering my expectations and all that stuff, but I finally broke down and watched it. 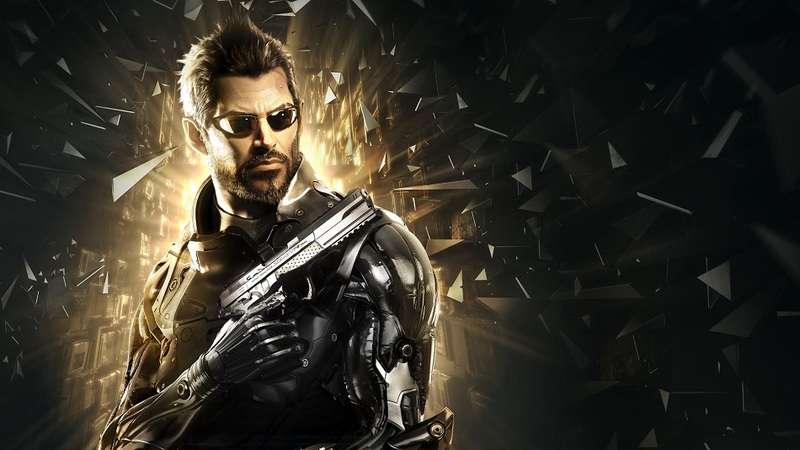 The trailer, titled “Deus Ex: Mankind Divided – 101” is basically an overview for the game’s world and how it might integrate with gameplay. Protagonist Adam Jensen explains the layout for an upcoming mission where he’s dispatched to interrogate a terrorist group’s leader. Jensen explains different ways he can approach — guns blazing, hacking, sneaking — which are all in line with the gameplay pillars Eidos Montreal established in Human Revolution. However, particular parts of Jensen’s explanations had my ears perking — the likelihood of the target leaving peacefully with Jensen at the mission’s conclusion depends on which playstyle players choose to execute the mission. In Human Revolution (not to mention just about every multi-playstyle game) players could take Jensen in with guns and explosions to clear everyone out. Alternatively (and my preferred method) is to sneak in and get through without enemies any the wiser. A mix of the two, with lethal and non-lethal means, is also viable. Although I wouldn’t call it confirmed by the 101 trailer, it looks like Mankind Divided could reward players not simply with an interrogation sequence at the end of the mission, but by how the logistics of the entire mission are handled by the player. It’s not uncommon for a conversation challenge to dictate an NPC’s behavior, but for the NPC to react to how the entire mission is handled is rare. It reminds me of the cult classic Alpha Protocol. Alpha Protocol had an innovative conversation system with more than the usual binary mean/nice options. Players had to learn to talk to NPCs the way they preferred to be talked to in order to extract certain information. The player’s boss might like direct, aggressive conversations. Another character might prefer players to be flirty and suave. This dynamic was refreshing because in most games it doesn’t matter which route is chosen – the same outcome usually happens, just in a slightly different way. That’s not true for Alpha Protocol’s conversations, and I hope it’s not true for Mankind Divided’s mission gameplay either. Translating that dynamic to an entire mission would potentially be enough to push me out of my stealthy comfort zone of playing. Maybe if the contact at the end of Jensen’s current mission appreciates an aggressive, guns blazing style I’ll adopt that persona to get him. Maybe that style will hold better rewards at the end. Stealthing it up might get me to the same goal (or will it?) but a different style might pay off more – or differently — for that single mission. I don’t want to get my hopes up too much about Mankind Divided and start deciding how things will play out before it’s in my hands, but now that I’ve watched the trailer the floodgates are open. See? This is exactly what I was trying to avoid in the first place. I’ll ask this here because I can’t find anywhere else to post it, but does any of the GC staff have VR yet ? Curious about your guys thoughts with or without it. It seems that the VRlaunch has died so hard and so quick that i’m not hearing any talk about it. Traditional video games which has had a pretty good couple of months seems to have overwhelmed the new tech. It is like I said from day one content is king…..always. VR is still too solitary in the MP and couch co op world I’m just not seeing it getting beyond the “3D TV” phase. Even more so when the hardware is trying to lock content to itself…..if a mouse/monitor set tried that no one would buy it…. it’s also got a long way to go, it has to get under 250 price wise to be marketable to to all hardware games can be sold on. Well, forbes has been pretty heavy on the VR articles. . .